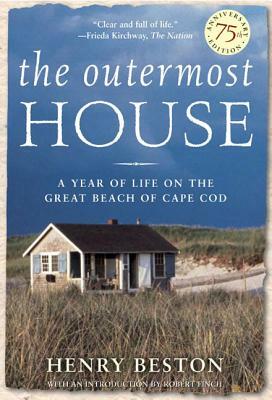 A chronicle of a solitary year spent on a Cape Cod beach, The Outermost House has long been recognized as a classic of American nature writing. Henry Beston had originally planned to spend just two weeks in his seaside home, but was so possessed by the mysterious beauty of his surroundings that he found he "could not go." Instead, he sat down to try and capture in words the wonders of the magical landscape he found himself in thrall to: the migrations of seabirds, the rhythms of the tide, the windblown dunes, and the scatter of stars in the changing summer sky. Beston argued that, "The world today is sick to its thin blood for the lack of elemental things, for fire before the hands, for water, for air, for the dear earth itself underfoot." Seventy-five years after they were first published, Beston's words are more true than ever. Henry Beston (1888–1968) wrote many books, including White Pine and Blue Water, Northern Farm, and The St. Lawrence.